Humidor Stuart is a beautifully handcrafted humidor starter set. 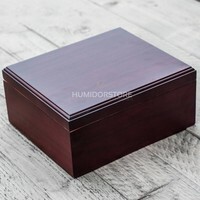 A true gem for each house or office! 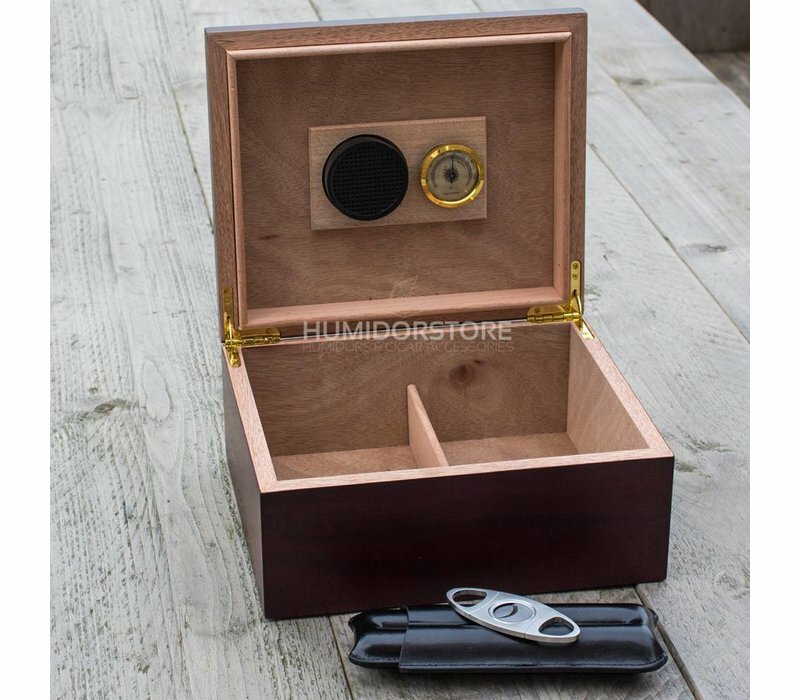 The ideal set for cigar smokers who'd like to protect their cigars when on the road. 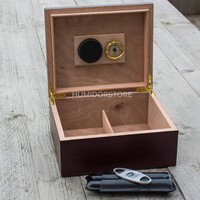 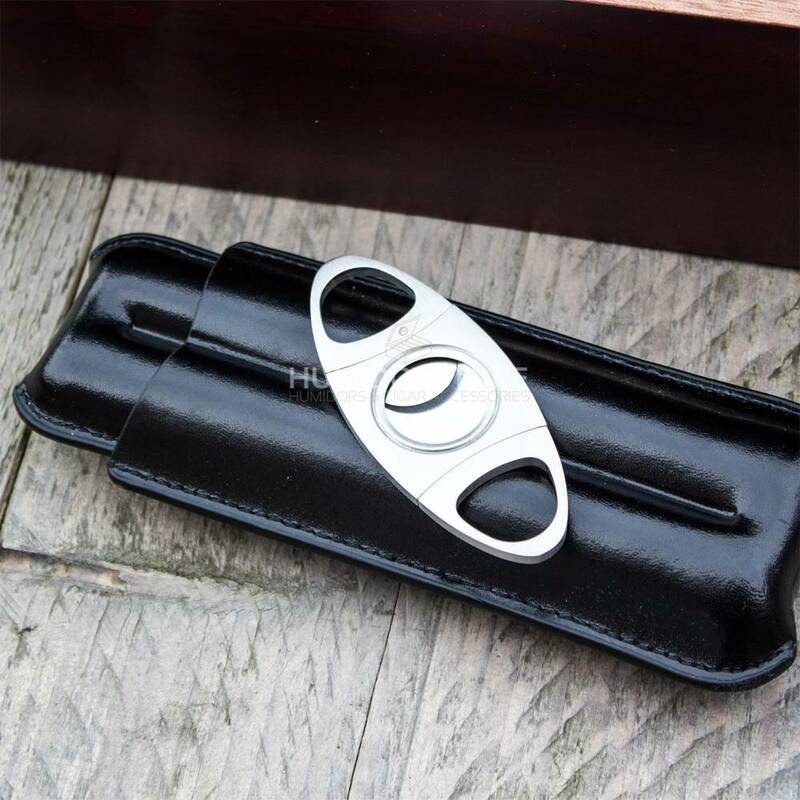 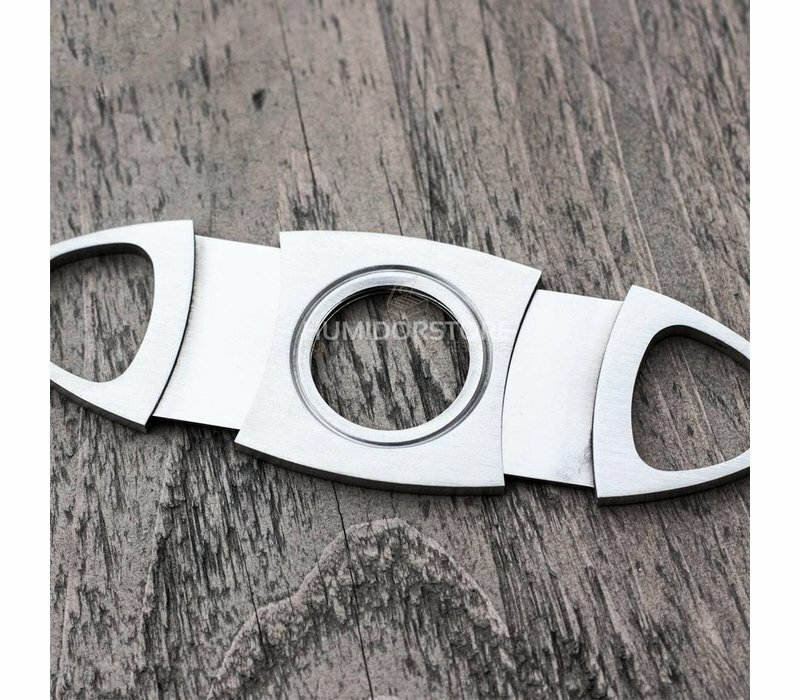 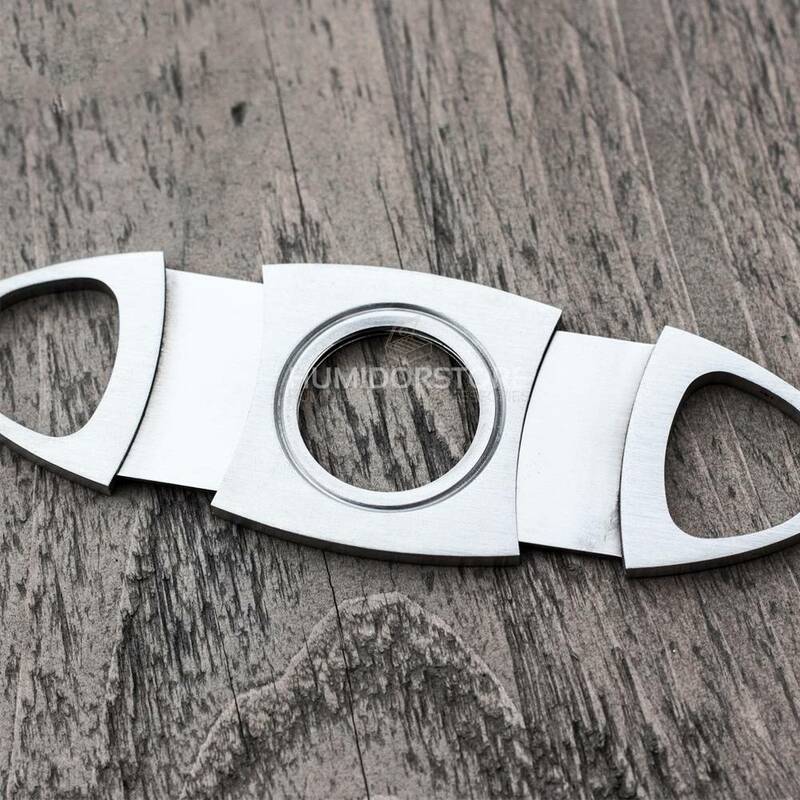 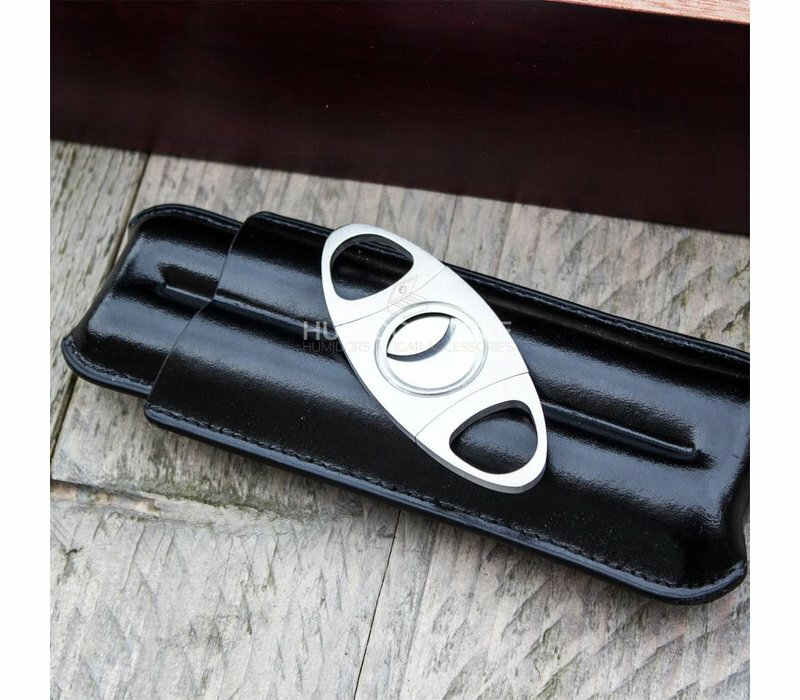 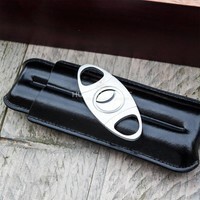 Complete set, which includes a humidifier, hygrometer, luxurious stainless steel cigar cutter and a leather cigar case. 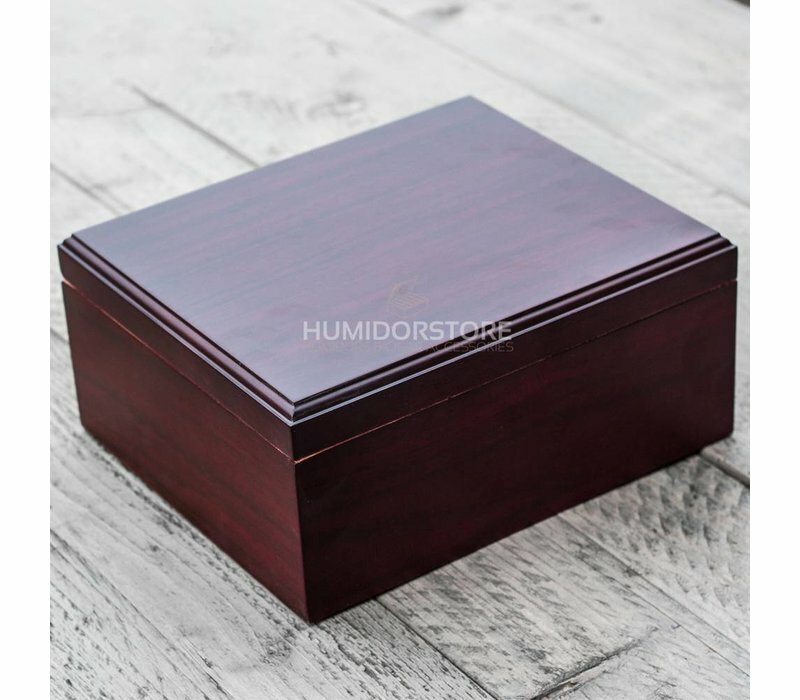 The humidor Stuart closes perfectly, which is due to its sunken hinges. 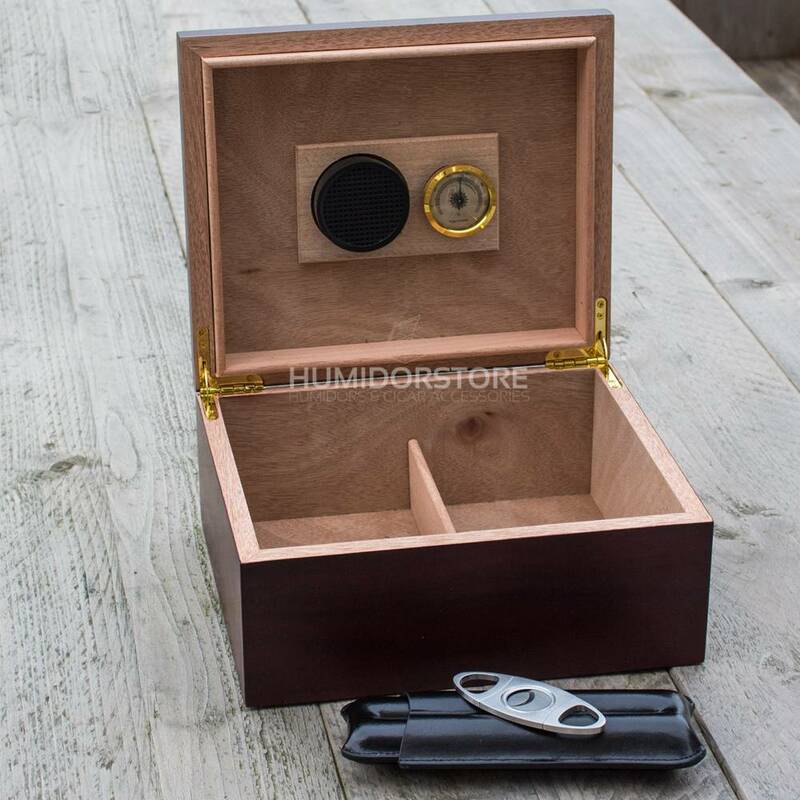 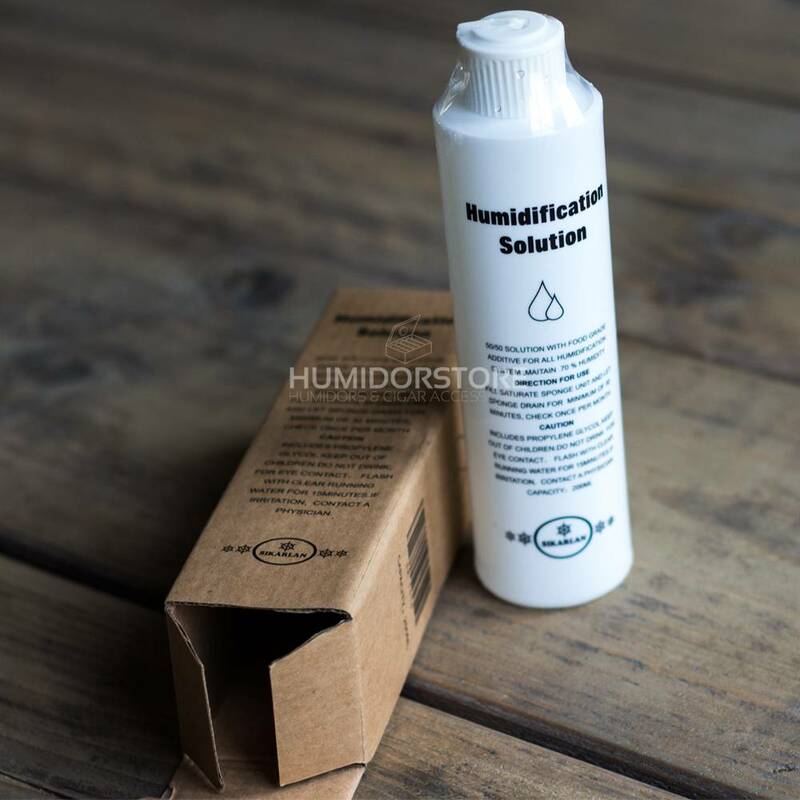 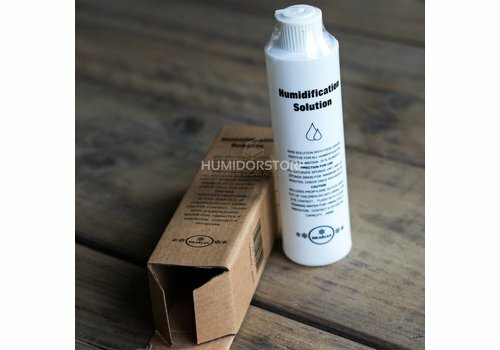 This humidor keeps your cigars in absolute top condition. 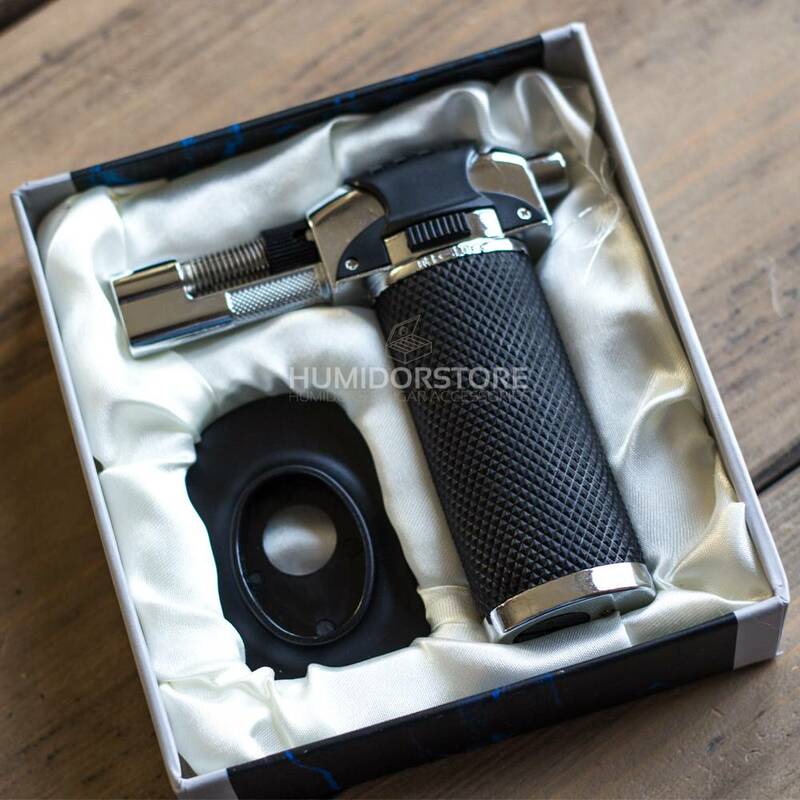 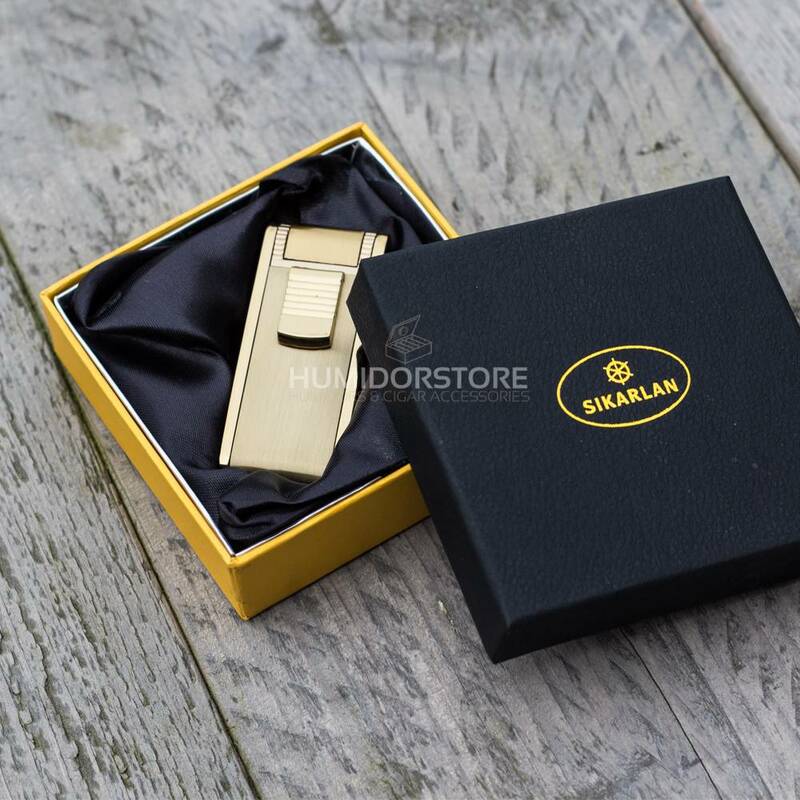 The Dandy cigar lighter is a luxurious double jet flame lighter. 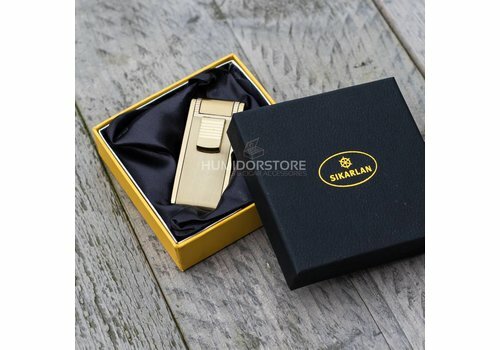 The brand of this lighter is: Sikarlan. 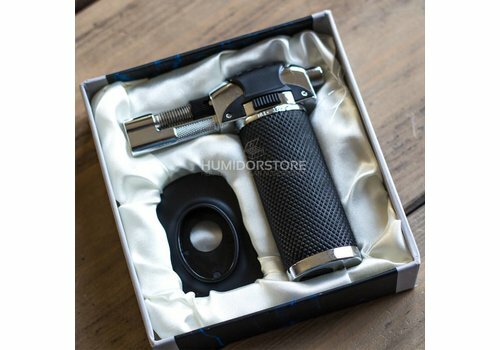 The double flames are stabilized and the lighter is to be delivered with a cigar drill.